Just stir together all of the ingredients and you'll have a delicious Dump-and-Bake Chicken Marinara Gnocchi recipe in about 30 minutes! There’s absolutely no prep work necessary for this easy dinner that cooks entirely in one dish! Just stir together all of the ingredients and you’ll have a delicious Dump-and-Bake Chicken Marinara Gnocchi recipe in about 30 minutes! 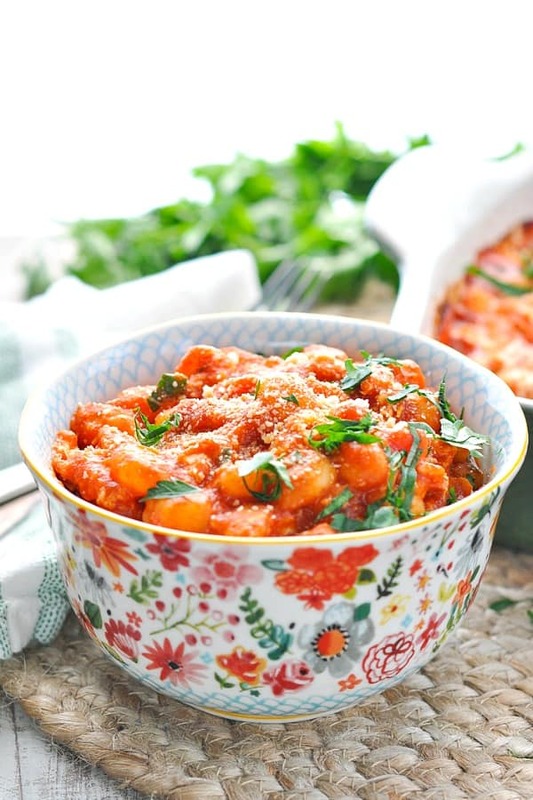 Is gnocchi a staple in your kitchen? 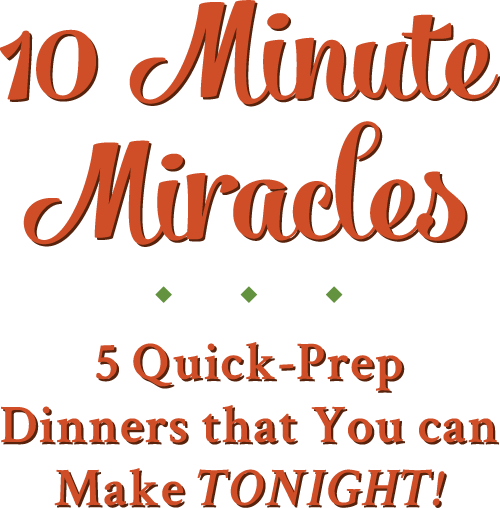 It’s one of those easy, quick-prep meal options that most folks really love, but for some reason it’s just not on my radar screen very often. Instead, I wind up preparing pasta, rice, bread and other starches and carbs instead. But why?! Gnocchi deserves some love and attention, too! 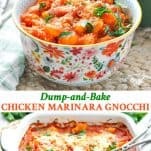 So today I’m bringing it back in the simplest way I know how: the dump-and-bake method! There’s no need to make our lives harder than necessary. If you’re like me and you’re juggling a lot (or you just don’t feel like cooking at the end of a busy day), then this meal will come in very handy. Best of all, it’s a fast option that appeals to just about everyone! 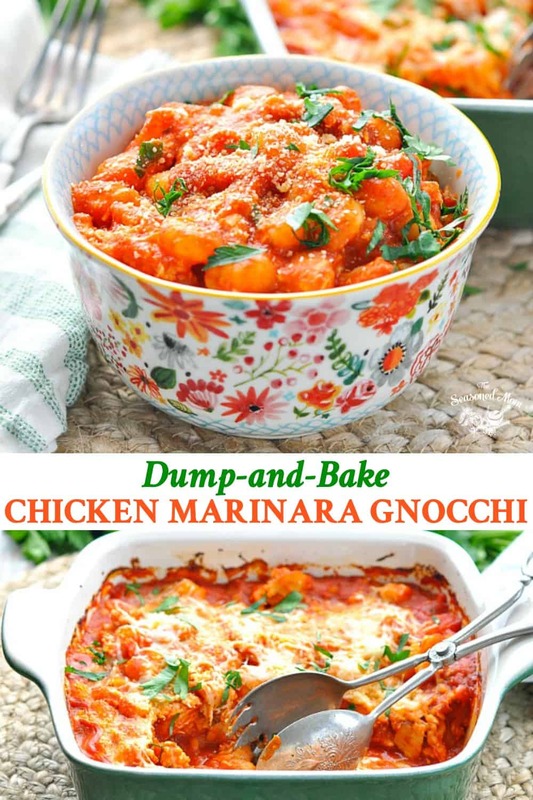 I use a package of mini potato gnocchi for this recipe, which I purchase at my local Walmart. You can buy similar products in almost any grocery store, and if you can’t find the mini version, just go with a standard-size gnocchi instead. The minis have two benefits: (1) they’re the perfect size for my boys to eat without cutting; and (2) they cook even faster than their larger counterparts. The larger gnocchi will totally work, though! You just might need to add a few minutes to the baking time in order to make sure that they’re soft, tender, and fluffy at the end! 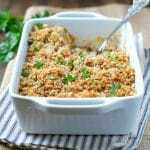 To prepare the casserole, simply combine the uncooked potato dumplings with cooked, shredded chicken, marinara sauce, chicken broth, and garlic. 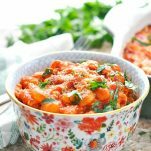 The gnocchi cooks in the sauce as everything bakes together in the oven, which eliminates the usual step of boiling the gnocchi separately first. You know I love a good shortcut, and I bet you will too! 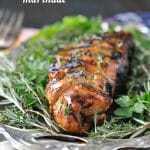 Simply bake the dish in a 425 degree F oven for about 25 minutes and your easy dinner is ready! Can gnocchi be made ahead of time? Yes! 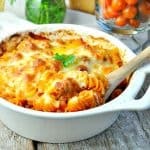 You can assemble this casserole and keep it in the refrigerator until you’re ready to bake it! You can also bake the casserole in advance and then just reheat it when you’re ready to enjoy. This gnocchi recipe can be assembled and frozen before baking. When you’re ready to bake the casserole, thaw it in the refrigerator overnight. I don’t recommend freezing the gnocchi after they are baked, since the texture tends to break down. How long does the cooked gnocchi recipe keep in the fridge? 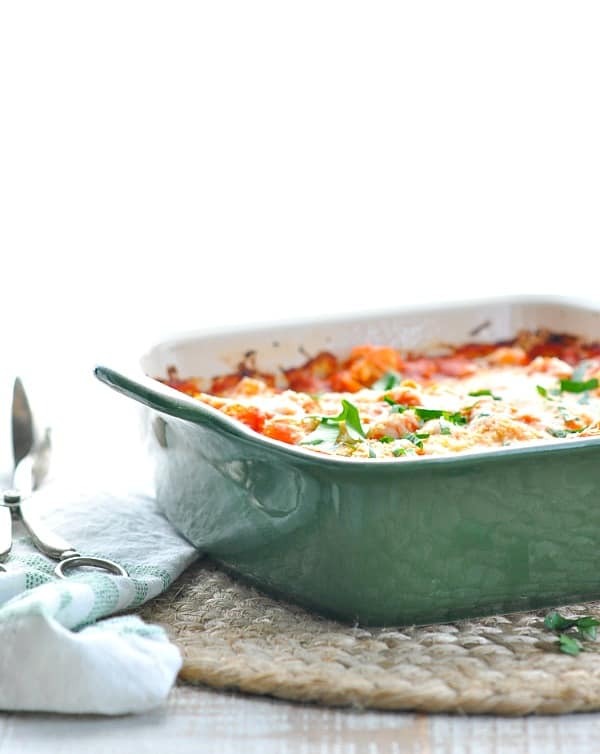 Once baked, this gnocchi casserole will stay fresh in the refrigerator for 3-4 days. If you can’t find the mini gnocchi that I’ve shown here, you can substitute with regular gnocchi. You just might need to add a few minutes to the cooking time to make sure that your larger gnocchi are tender, soft and fluffy! Swap out the chicken and replace it with cooked ground beef, sausage, meatballs, ground chicken or ground turkey. Prep ahead! 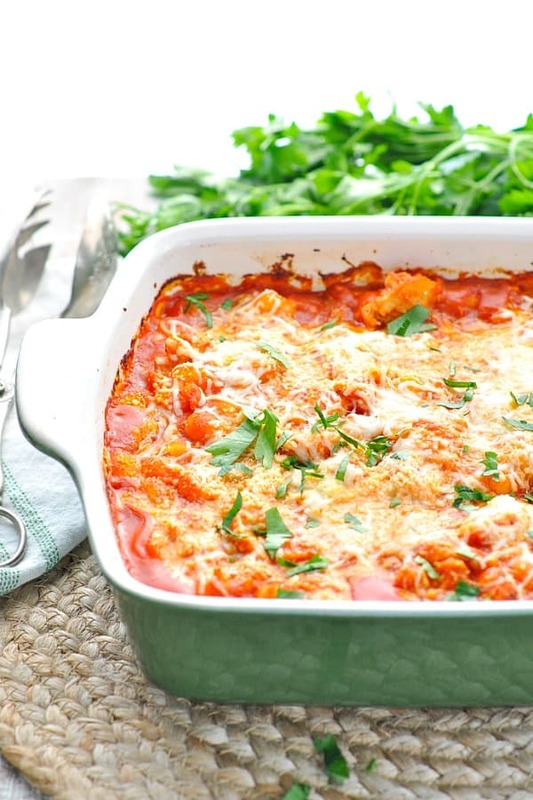 Assemble the casserole in advance and keep it refrigerated until you’re ready to bake. Cooking just for Two? 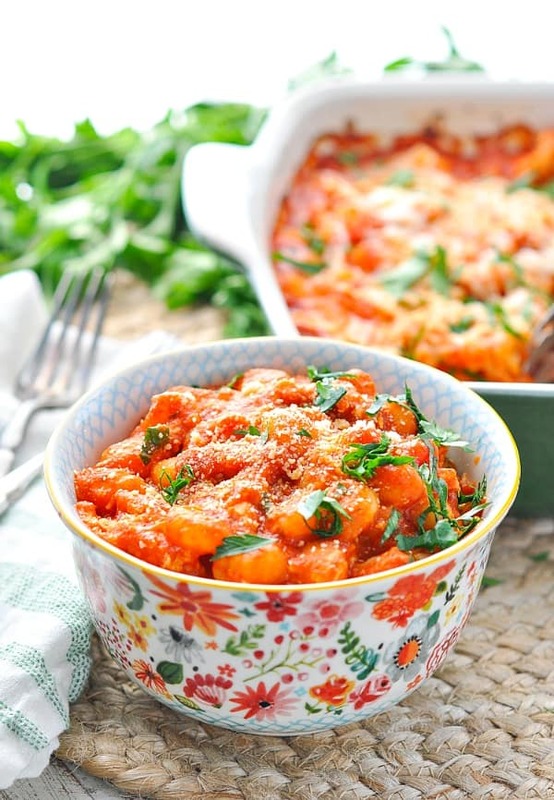 Cut the ingredients in half and bake the gnocchi in a small (1-quart) baking dish. The instructions remain the same, but you may need to decrease the baking time by about 5 minutes. The next time you reach for your basic pasta with marinara sauce, I hope that you’ll try this easier, cheesier twist instead. You’ll have a perfectly delicious, family-friendly dinner on the table in about 30 minutes! Hoo-rah! Preheat oven to 425 degrees F. Spray an 8- or 9-inch baking dish with cooking spray and set aside. In a large bowl, whisk together marinara sauce and chicken broth until smooth. Stir in chicken, gnocchi, and garlic. Bake in the oven for 20 minutes. Remove dish from the oven, stir, and taste one of the gnocchi. It should be tender and just about done (if it’s still too hard, put the dish back in the oven for a few more minutes). Sprinkle mozzarella and Parmesan over top of the dish, and return to the oven for 5 more minutes, or until gnocchi is tender and cheese is browned on top. * For a shortcut, I like to use Tyson Grilled & Ready Shredded Chicken (which you can find in the freezer section), or other similar cooked chicken strips. ** For another shortcut, try using a squeeze bottle of fresh minced garlic, which you can find in the produce section at your grocery store. If you can't find the mini gnocchi that I've shown here, you can substitute with regular gnocchi. You just might need to add a few minutes to the cooking time to make sure that your larger gnocchi are tender, soft and fluffy! Prep ahead! 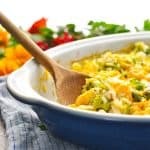 Assemble the casserole in advance and keep it refrigerated until you're ready to bake. 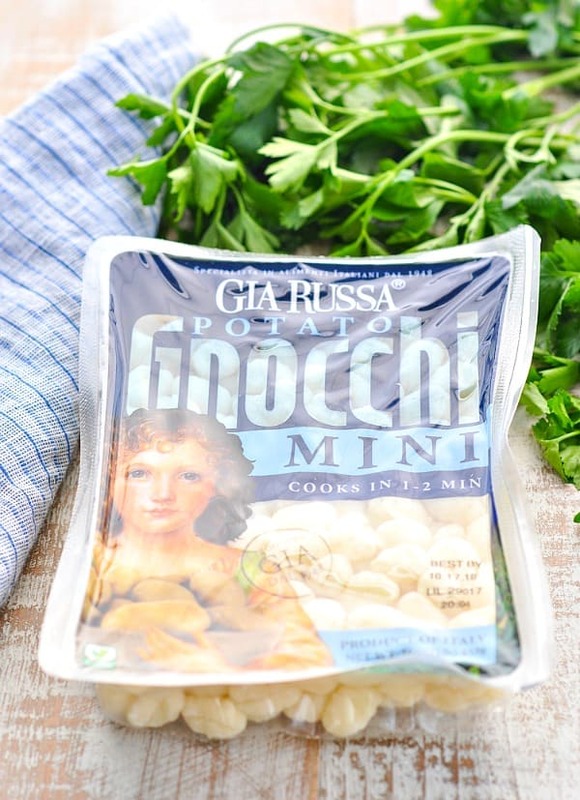 Do you find the gnocchi in the pasta aisle or freezer section? Hi, J! It’s not a frozen product, so you will usually find it near the pasta or rice in just about any regular grocery store. 🙂 Enjoy! I do love gnocchi, but you’re right, it’s not something that I think to cook too often with! This bake sounds so good, Blair! I love that marinara and easy ingredients in here. Definitely sounds like a winner for dinner! This looks heavenly! What an awesome and easy dinner! 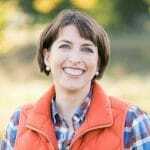 I just served you delicious recipe with one slight shift, I baked it in four large zucchini “boats.” The kids and my husband loved it , and they all asked me to add it to our right rotation. lot of varied angles. Its like women and men are not interested except it’s one thing to do with Woman gaga!